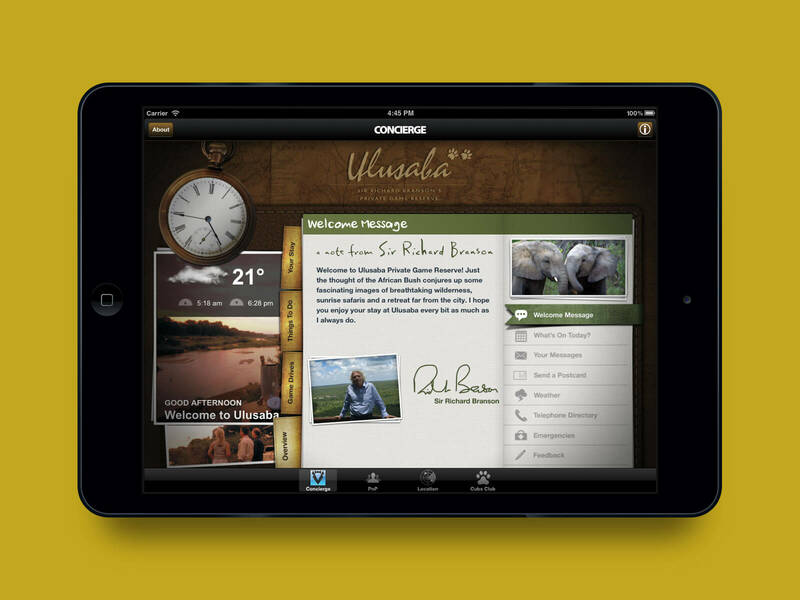 I worked on the complete creative process, from initial concept to UX and final User Interface design. 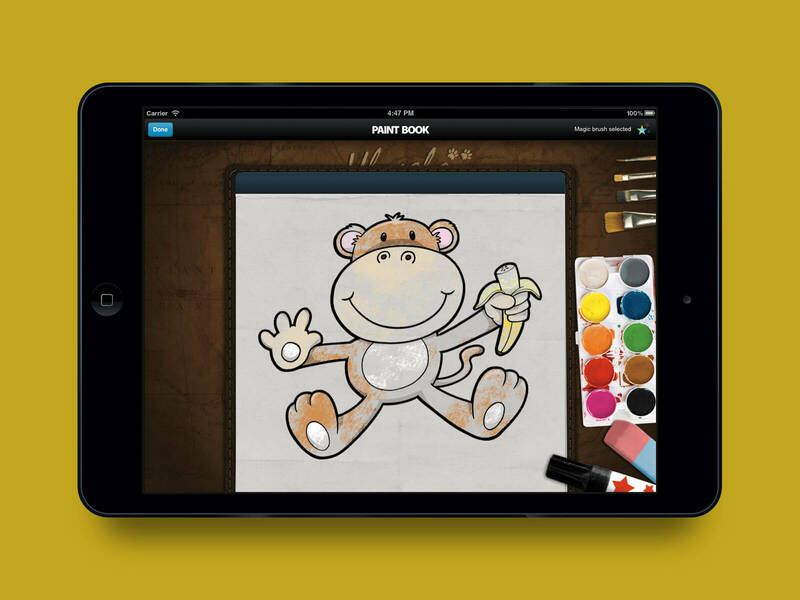 Many of the textures, layers, buttons and other graphical elements were drawn by hand and enhanced with photoshop. 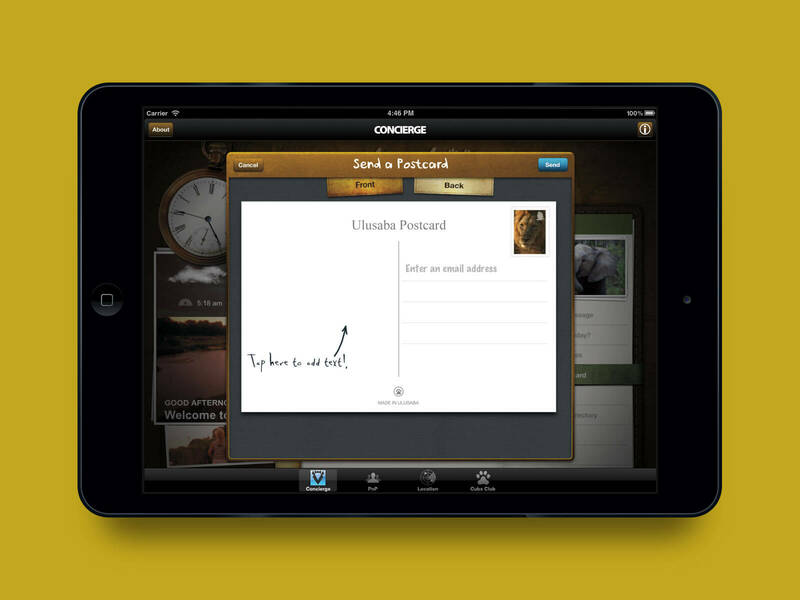 Visitors can sent postcards to friends and family via the app. 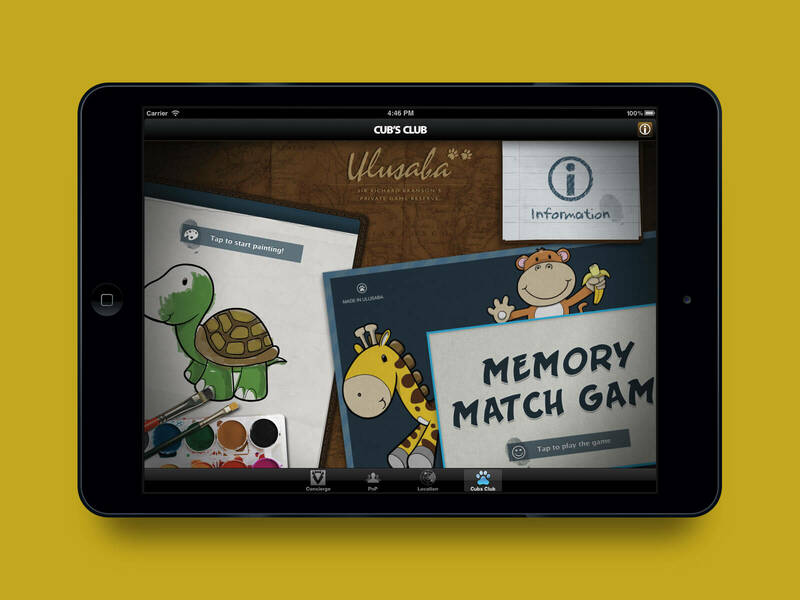 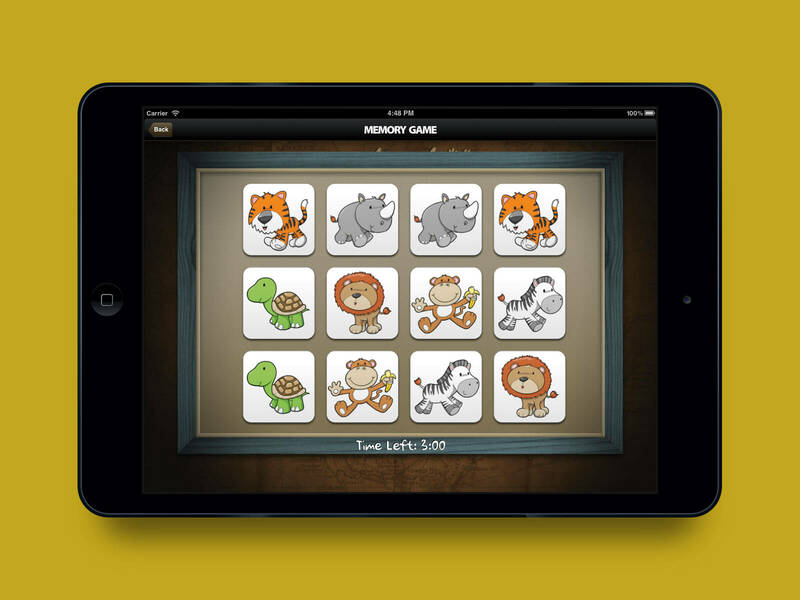 The app features an area especially for the younger visitors to the game reserve. 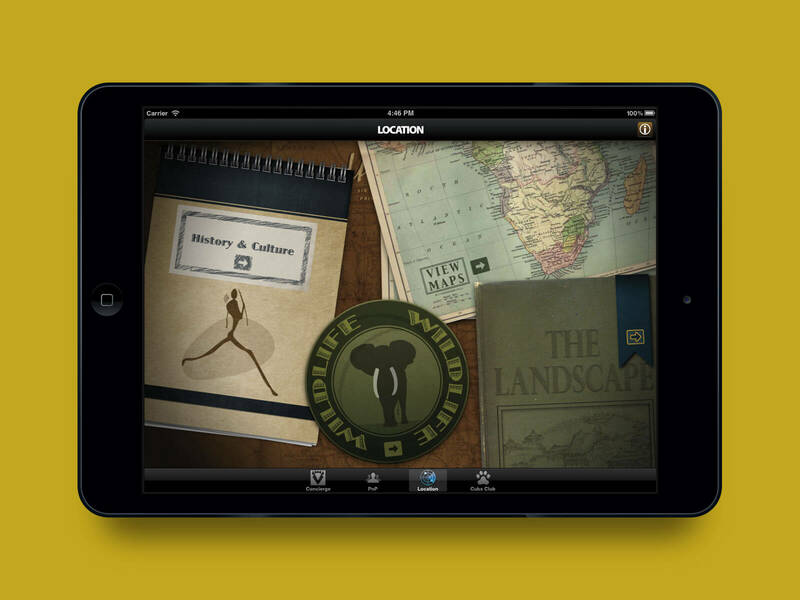 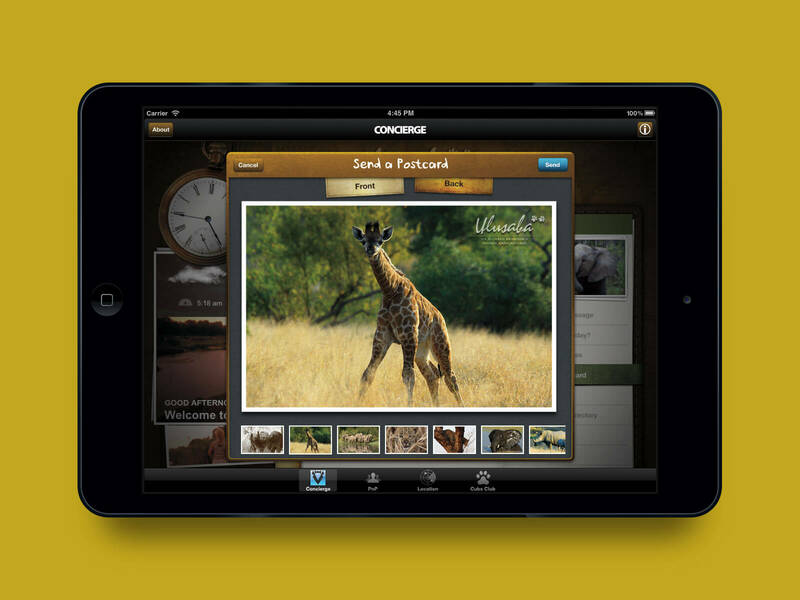 The app features a wide range of information on the game reserve and surrounding location.